People these days claim to have short attention spans. They don’t want to be bothered by lengthy discussions and pages of research. Probably this is because of the arrival of the age of technology when things come to you in an instant. Communication, research, and even purchases are done online. Perhaps technology is perhaps to blame. However, there are some events that are worth delving into. Events that transpired in the past that brought us where we are now. The thing about the past is, the present isn’t here without it. And that’s why it’s important to know more about the Martial Law of 1972. Martial Law was declared in September 21, 1972, by the president that time which is Ferdinand Marcos. Martial is often declared on areas where there is a state of civil unrest. 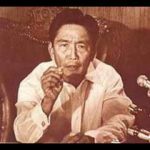 That was Marcos’ claim that time – he said that the country was being taken over by communism and Martial Law was needed to control the situation. When Martial Law is applied – civil rights, civil laws, habeas corpus is suspended and military rule is extended to civilians. By 1972, Marcos was on his 7th year on being the president of the Philippines already. Marcos ruled over the Philippines for a total of 21 years (1965 to 1986). During the Martial Law, there were reports of murder, torture, illegal detention and arrests which are all forms of human rights violation. Alfred W. McCoy, an American historian, there were about 3,257 number of people killed by the military. Liliosa Hilao, an outspoken editor of her school’s paper in PLM (Pamantasang ng Lungsod ng Maynila) was critical of the government. She was forcibly taken by the military from her home and she never made it home alive. Her body showed obvious signs of torture. She was the first person killed in detention during the Martial Law. On August 31, 1977, there was an open forum at PLM and Marcos’ daughter Imee was present in that occasion. She was currently the director of the National Youth Council that time. A student, Archimedes Trajano questioned her appointment of such position – a valid question. Apparently, Imee was displeased with that. Trajano was dragged out of the venue and that was the last time anyone saw him alive. He was found dead on September 2, 1977, his body bore signs of beatings. Imelda Marcos, Ferdinand Marcos’ wife enjoyed a life of extravagance during her time as First Lady. She would indulge herself in shopping for shoes, gowns, jewelries, and even artwork. She one time dropped over USD 200,000 for a one-time shopping spree at Emmanuel Ungaro. Do take note that Ferdinand’s yearly income didn’t exceed USD 13,500. 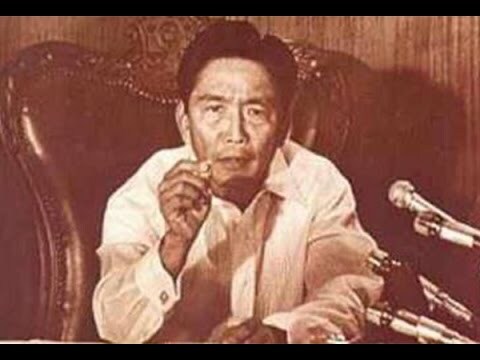 Marcos controlled the country’s biggest industries coconut, banana, tobacco, sugar, and manufacturing. He assigned his cronies to direct the monopolies and he Marcos made money out of this. These are just some of the notable excesses that happened before. A short article isn’t enough to discuss the long list of transgressions but hopefully, this is a start for anyone who wants to know more about the Martial Law. Do yourself a favor, do your research. Be informed. Nick Davies, “The $10bn question: what happened to the Marcos millions?,” https://www.theguardian.com/world/2016/may/07/10bn-dollar-question-marcos-millions-nick-davies, (May 7, 2016).